Evergreen provides an experienced ground maintenance service for a wide range of customers. Contract sizes vary and Evergreen can offer a ground maintenance solution on any scale of project to fulfil the clients specific requirements. 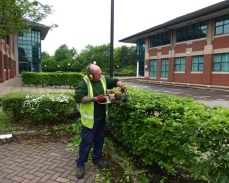 Evergreen strives to constantly deliver value for money on ground maintenance projects along side a comprehensive level of service and quality which is achieved through our experienced and well trained staff.